Voice-over is a pre-recorded audiovisual transfer mode in which a voice delivering the translation is heard on top of the original voice, which is still audible in the background. This is supposed to enhance the feeling of authenticity. Voice-over is used for non-fictional genres in certain Western European countries, and for fictional programmes in many others. Voice-over does not keep lip synchronization but observes other types of synchronies: voice-over isochrony (be it full, initial or final), literal synchrony, kinetic synchrony, and action synchrony. Although different working flows coexist, voice-over implies the preparation of a written translation that will be delivered orally, generally by a voice talent, in a pre-recorded format. The language in the voiced-over version is often rephrased so that voice-over isochrony can be kept, and some features of orality such as hesitations, false starts or repetitions are often lost in the translation. Depending on the country’s tradition and on the genre, one or more voice talents deliver the voice-over, very often with a flat intonation, although some products are beginning to favour a more emphatic prosody. 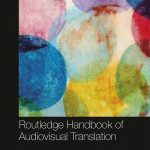 Research in the field of voice-over has focused on various topics, although to a limited extent: translation and synchronization techniques, linguistic aspects, cultural approaches, authenticity and manipulation, reception studies, inclusion of technologies in the process, and training. However, there are still many possible research topics which have not been explored. Descriptive research on large corpora is still needed, both synchronically and diachronically, and user reception studies are also missing in this transfer mode. Methodological instruments such as eye-tracking or electrophysiological tools could be used to that end. Other research topics to be explored include technology in voice-over, but also the relationship between voice-over and accessibility. 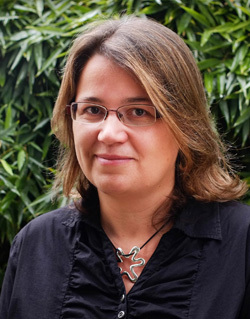 Anna Matamala is a Senior Lecturer at Universitat Autònoma de Barcelona. Her current research focuses on audiovisual translation and media accessibility, with a special interest in dubbing, voice-over, audio description and audio subtitling, as well as translation technologies.